When was the first Rasagola Dibasa celebrated in Social Media? 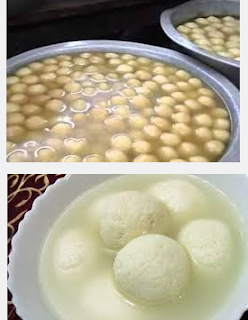 In Social Media, the first Rasagola Dibasa was celebrated on July 30, 2015 to commemorate Niladri Bije i.e. the last day of the Ratha Jatra. 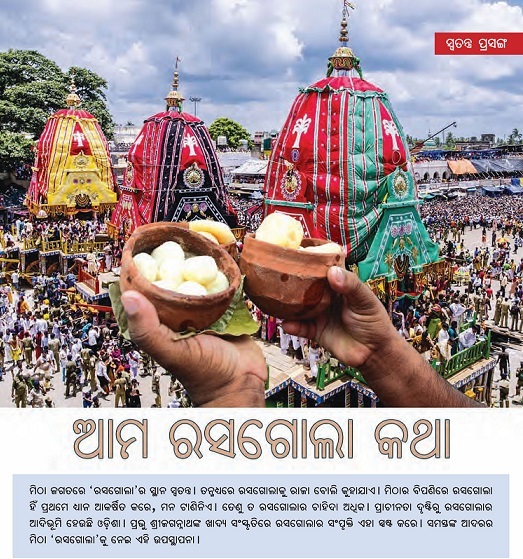 As 2015 was the year of the Nabakalebara that took place after 19 years, Rasagola Dibasa was the sweet special celebration that was planned. Why was the third Rasagola Dibasa celebrated on July 6th 2017, while the second #RasagolaDibasa was on July 17th, 2016, and the first was on July 30th, 2015? As Rasagola Dibasa is on Niladri Bije, and the dates of Ratha Jatra & Niladri Bije vary each year as per the tithi, the date of Niladri Bije and thus Rasagola Dibasa varies every year. (Note- Ratha Jatra, Holi, Diwali etc dates are also based on tithi and are different every year). How is Rasagola Dibasa celebrated in Social Media? Facts and images are actively shared in the Social Media- WhatsApp, Facebook, Twitter, Instagram. Thanks to Social Media, Rasagola Dibasa can be celebrated anywhere & everywhere in the world bridging geographical barriers! Celebrate it online by sharing blogs, FB posts, Insta pics, tweets etc with #RasagolaDibasa. Is it compulsory to buy/eat/gift/share real Rasagolas on Rasagola Dibasa? There is no compulsion. It is an individual or group's choice whether or not to share sweetness! In addition to or instead of real ones, one can share virtual e-Rasagolas or Rasagola-info. It is recommended to spread sweetness and bring smiles. How can Diabetic or health-conscious persons celebrate Rasagola Dibasa? Sugar-free Rasagolas are available in shops. However, in Social Media, Rasagola Dibasa can be celebrated without eating Rasagolas! Sharing virtual e-Rasagolas or pics of Rasagolas is harmless for the health! Should one celebrate Rasagola Dibasa in Social Media? Depends on the individual choice. Rasagola-lovers and supporters like to join in to celebrate in Social Media. What to do on Rasagola Dibasa if one hates Rasagolas? If one has allergy to Rasagolas or hates them, it is recommended to stay away from Social Media and avoid the Rasagola overdose. Where can one find great real Rasagolas to eat/gift on Rasagola Dibasa? Rasagolas are found in Indian shops around the world. But, the best ones that are soft and delicious are available in the birthplace of Rasagolas- Odisha, India. Can events like Rasagola Dibasa in Social Media change perceptions? Celebration of Rasagola Dibasa in Social Media attempts to change incorrect perceptions. 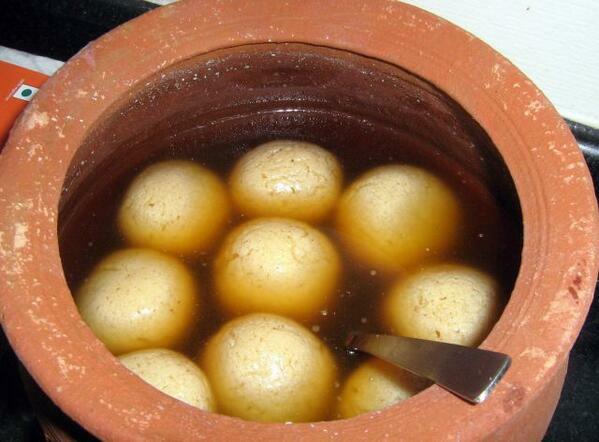 Unlike what is popularly believed, Rasagolas did NOT originate in Kolkata/West Bengal in the 19th Century. Even now many are ignorant that- Rasgulla originated in Odisha. Rasagolas were being served in Odisha even before the 8th Century. The Dandi Ramayan and other ancient texts provide evidence. Social Media can spread awareness and information and change false and misleading perception. By bringing facts to the limelight, Social Media can play a great role. The third Rasagola Dibasa is being celebrated today on Thursday, July 6th 2017. Happy Rasagola Dibasa! May our lives be filled with sweetness! I am reading this word very First time . Rasogala Dibas means rasogala Day , wow !! Congrats to live up with traditions !! Happy Rasagola Dibas including to the diabetic ones who can enjoy sugar free sweets these days. In our traditions satwik food and religious celebrations go hand in hand. In addition to Rasagola Puri is a place to savour many kinds of special sweets and other satwik dishes. Thanks Anita for bringing the origin of Rasagola to limelight.